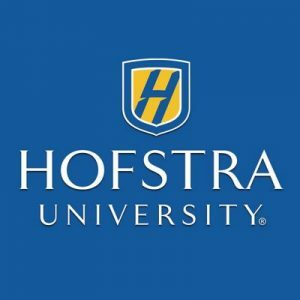 Hofstra University appears in our ranking of the Top 30 Best Online Master’s in Computer Science Degree Programs. 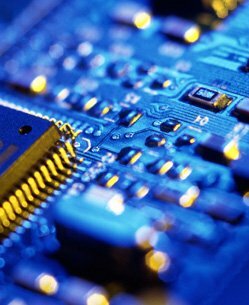 Founded in 2012, the Fred DeMatteis School of Engineering and Applied Science awards a BA or BS in Computer Science for Hofstra University undergrads seeking a strong introduction to digital infrastructure. Chaired by Dr. Krishnan Pillaipakkamnatt in Adams Hall, the 124-credit, eight-term program builds on a liberal arts core before focusing on tech design. The “College of Distinction” keeps courses like Automata Theory, Bioinformatics, and Discrete Structures small with the 14:1 student-professor ratio. Optional concentrations exist for Leadership & Innovation in Computing, Gaming & Graphics, Networking & Cybersecurity, or Web & Mobile Engineering. Undergrads might also compete in the Hack-A-Thon, intern at Arrow Electronics, analyze in the Big Data Lab, practice with Microsoft Imagine, pledge Upsilon Pi Epsilon, and visit Amsterdam. Matriculating around 40 Hofstra University post-grads, the MS in Computer Science builds “Pride and Purpose” with greater depth of operating system mechanics knowledge. Coordinated by Dr. Chuck Liang, the 30-credit, hybrid program blends Hempstead meetings with online study on Blackboard. Students prepare for leadership roles in courses like Data Mining, Machine Learning, Artificial Intelligence, and Programming Language Concepts. Two available specializations are Web Engineering and Networking (Cyber) Security. Before the capstone thesis, MS majors can land eight-month positions at 140+ partners, such as Cobham, Digital Remedy, Laserfiche, Sandata, and Zebra, via the DeMatteis Co-Op Program. Other opportunities include researching in the Embedded Systems Lab, entering the Hofstra-CPXi Venture Challenge, joining the BB-8 Project, becoming IEEE Fellows, and taking the Dual BS/MS Option. Hofstra University was founded in September 1935 as a New York University commuter campus using the multi-million estate of Dutch lumber magnate William S. Hofstra from Price Brothers. Chartered in 1940, Hofstra College’s initial class of 621 paid just $375 per year. After developing the Arthur O. Eve Higher Education Opportunity Program, Hofstra gained university status in 1963 from the New York Board of Regents. Endowed for $444.9 million, Hofstra now educates 11,131 Pride as Long Island’s largest private, nonsectarian teaching institution. The 116-building, tree-lined Hofstra campus stands in Nassau County just 31 miles east of Manhattan on Northern State Parkway. Linked to 74,144 LinkedIn alumni, Hofstra has trained Jeff Pulver, Lainie Kazan, Frank Zarb, Susan Sullivan, and more. The U.S. News & World Report ranked Hofstra the 132nd best national university, 71st top value, 38th best engineering school, and 82nd most veteran-friendly campus. On Niche, Hofstra is America’s 119th most diverse college, 297th top private university, and 304th most liberal institution. Times Higher Education featured Hofstra University among the world’s top 500. Forbes placed Hofstra 148th for research innovation with “B-” finances. College Factual chose Hofstra for the country’s 133rd best computer science program and 211th top-paid graduates. PayScale crowned Hofstra University the 111th best bet for mid-career salaries averaging $110,200. The Social Mobility Index distinguished Hofstra for the 345th best opportunity nationally. In Washington Monthly, Hofstra has the 205th highest Ph.D. completion rate and 141st most financial aid too. In 2018, Hofstra University will undergo another self-study institutional review with the Middle States Commission on Higher Education (MSCHE) to keep its Level VI accreditation current through 2024 under president Stuart Rabinowitz. Headquartered 121 miles away in Philadelphia, this Mid-Atlantic regional accreditor is authorized by the U.S. Department of Education to check Hofstra’s 109 baccalaureate and 175 graduate degrees for academic effectiveness. The DeMatteis School has also maintained programmatic approval from the Accreditation Board for Engineering and Technology (ABET) since 1971. Scoring spots at Hofstra University is considered “moderately difficult” by Peterson’s because only 1,687 of the 26,788 applicants for the Class of 2021 were accepted. First-year Pride pursuing the BA or BS in Computer Science must culminate a high school education or pass the equivalency exam. Completing four years of math and science is recommended. One-third of admitted freshmen rank in the top 10 percent of their class. On average, undergrads present a 3.6 GPA, 1242 SAT score, and 27 ACT score. Typical transfers have maintained a minimum 2.3 GPA in 24-75 credits at other accredited institutions. The MS in Computer Science requires a four-year bachelor’s with prerequisites in Discrete Mathematics, Programming Principles, Calculus, Algorithms, and Computer Architecture. Post-grads should achieve at least a 3.0 GPA and 300 composite GRE score. For 2018-19, Hofstra University will charge full-time Computer Science BA/BS majors $22,320 per semester. Voluntary four-year, locked-in tuition will be $24,050 each term. Studying part-time incurs $1,500 per credit. Budget for the $345 university fee, $105 technology fee, and $80 activity fee. Living at the Hempstead campus’ dorms like Stuyvesant Hall adds $14,250 for annual room and board. Cost of bachelor’s attendance equals $61,260 for residents and $47,294 for commuters per year. The MS in Computer Science currently bills $1,344 per credit for a $40,320 total price. According to the NCES College Navigator, 86 percent of full-time Hofstra Pride share $130.8 million in annual financial aid for $22,180 apiece on average. Institutional funds include the Trustee Scholarship, Dean’s Scholarship, Assistance Grant, Girl Scout Gold Award, Math Fair Award, Hickman-Seiman Scholarship in Computer Science, Berlin Family Foundation Scholarship, Ziegler Distinguished Scholarship, and Marjorie Strunk Shuart Scholarship for Women. New Yorkers apply for the Tuition Assistance Program (TAP), Enhanced Tuition Award, and STEM Incentive Program. Completing the FAFSA form with code 002732 determines Federal Pell Grant or FSEOG Grant eligibility. The Federal Work-Study jobs pay at least $11/hour for campus employment. The Port Jefferson Patch also records a 69 percent debt rate from Perkins, Stafford, Plus, and alternative loans at Hofstra University. Learn more about Hofstra University at the Computer Science Department website.